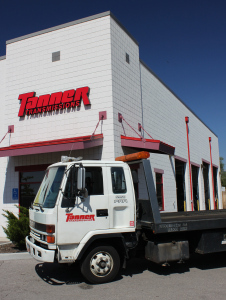 Tanner Transmissions® offers free towing along the Wasatch Front to your nearest Tanner Transmissions® location! Whether you need transmission maintenance or a solution to your transmission problem, Tanner Transmissions® has the right product and warranty for you to choose from. Our Ownership Warranty™ provides you with the confidence that you will never pay for transmission repairs again. Included with it is a free Power Flush™ each year to keep your vehicle operating at it's peak performance. Not sure if you have a transmission problem, but are experiencing a symptom in your vehicle? Schedule a free Transguard Check™ to determine what is happening with your vehicle's transmission. There is no obligation at any time, and the Transguard Check™ will give you the information you need about any potential transmission problem with your vehicle.